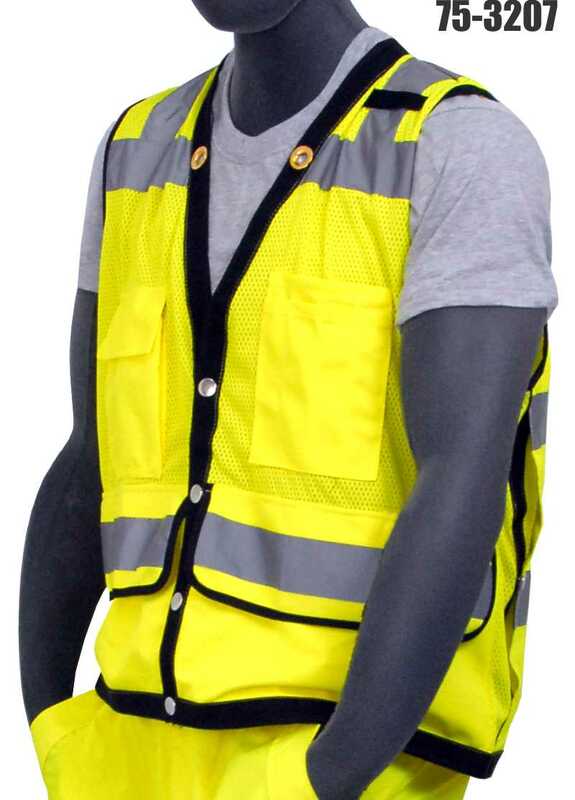 The Majestic 75-3307/3308 features High Visibility yellow or orange mesh fabric and is designed for tough duty and long lasting wear. All fabric edges are reinforced with heavy trim and the front features heavy duty snap closures and grommets for attaching tools. Eight Velcro pockets include a rear pocket for plans or large size documents and an ID badge pocket. Meets ANSI / ISEA 107-2010 Class 2 standard.